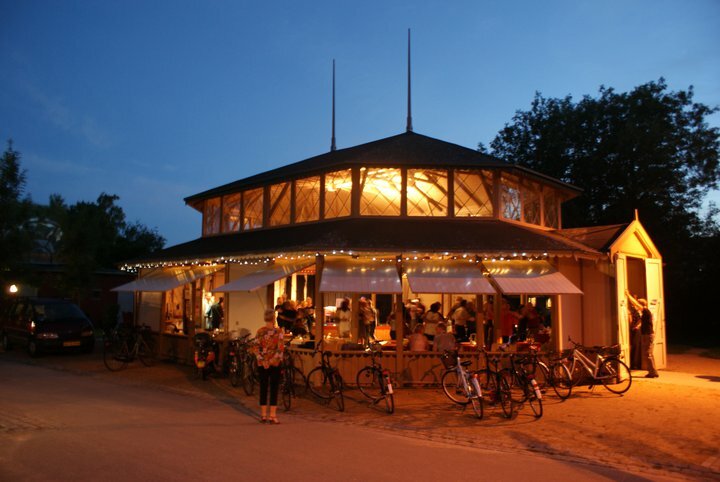 Karens Minde Kulturhus is the cultural center of “Sydhavnen” – the southern part of Copenhagen. The area has historically been one of the poorest neighbourhoods in Copenhagen and characterized by social problems as well as industry along the harbour-front. However, the last 20 years have seen major changes and many predict that the area will be the next “hot spot” in Copenhagen - for better and worse.For now, “Sydhavnen” as well as Karens Minde is known for keeping the original “Copenhagen spirit” as the last area in the inner urban area that has yet to be completely gentrified. True or not, the fact is that Karens Minde is situated in historical (it used to be an asylum for mentally deficient people) and green surroundings that make visitors feel like being outside the city in an almost countryside-like environment – even though Vesterbro is only a 10 minute bike ride away. Karens Minde Kulturhus hosts concerts all year round. At the summer jazz festival all concerts are moved to the “Dance Pavilion” – a 120 year old protected wooden pavilion, which was originally a place for dance therapy at the main mental hospital - a unique room with very good acoustics.The grill kitchen: During the festival we are serving a delicious organic menu straight from the open grill – at an affordable price. The kitchen is open from 5-7 pm. Opening Hours: Tirsdag-Torsdag kl. 13-19.30, fredag kl. 13-16, lørdag og søndag lukket. Udvidede åbningstider ved arrangementer.